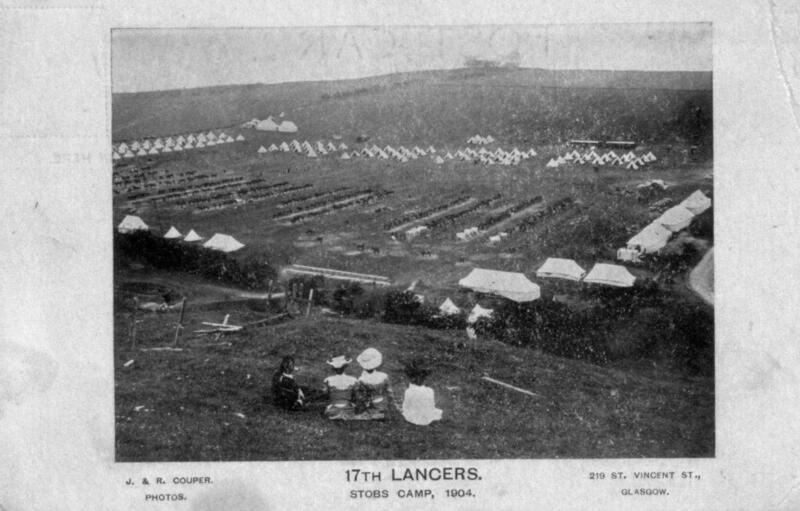 The prospect of a large military camp so near to the town of Hawick caused much concern. A great influx of military personnel living in and around Hawick might impair what made the town so unique and enjoyable for its townsfolk and might cause the old established customs and traditions to be diluted or lost. 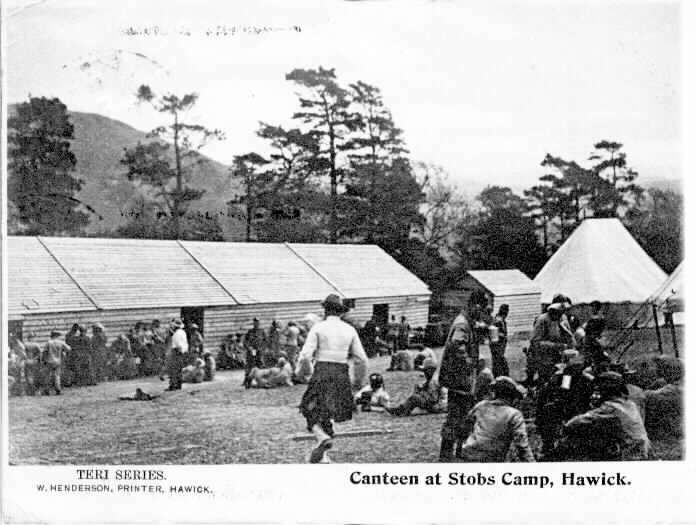 Within months of its creation, nearly 20,000 troops had been through the camp, hence Stobs was dubbed ‘Scotland’s Aldershot’, making the camp larger than the population of Hawick, which at the time was about 17,000. However, any perceived threat to Hawick’s culture was balanced by the chance for local tradesmen to tender for the provision of food for men and horses, fuel, stores, cigarettes and everything else required by the young men at Stobs. Even something as simple as commercial postcards were printed and supplied by at least three local Hawick companies namely G. Allen Robinson; D. Handyside; and W. Henderson with his “Teri” Series. ‘Teri Series’ postcard by W. Henderson, printer, Hawick.